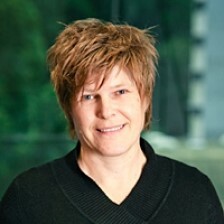 Christine Forster is an associate professor in the Law Faculty at the University of New South Wales, Sydney with expertise in the Convention on the Elimination of Discrimination against Women (CEDAW), and gender equality issues in governance models, constitutional law, violence against women, and family law. Christine holds a PhD in law from the University of Sydney, an MA in Legal Studies from Carleton University, Ottawa, Canada, an LLB from Otago University NZ and a BA in Women’s Studies and Sociology from Massey University, NZ and a Postgraduate Diploma in Legislative Drafting from the University of the South Pacific, Vanuatu. She has extensive practical experience in the legal implementation of CEDAW in South East Asia and has published widely in the area. She has conducted numerous training on gender equality issues in the South East Asia region. Gender scholars argue that a federal model of governance can provide opportunities to advance gender equality and the rights of women. Those opportunities include increased opportunities to sit in public office, multiple access points for women to lobby for reform measures, encouraging policy transfer between different regions of a country, protecting women from violence by responding more effectively to ethnic diversity and conflict through the provision of autonomy, self-rule and self-determination, and enabling local concerns including the different interests of women to be better represented. In some situations, however, gender scholars argue a federal model of governance makes it difficult to achieve uniformity of laws, programs and services that benefit women, it fragments the solidarity of the women’s movements, and that it is costly and complicated to navigate making gender reform measures more difficult to implement. There is no common theory about the impact of different governance models on the advancement of gender equality. Indeed, gender scholars have differing views as to whether a federal model (a governance model where power is permanently distributed between a national parliament and subnational parliaments) has a greater capacity to advance gender equality than a unitary model (a governance model where power resides in the national parliament). (Gray 2010: 20). More recently however an increasing body of gender scholars have argued that a federal model can, in certain circumstances, enhance the advancement of gender equality. The effectiveness of any model of governance, whether unitary or federal, at advancing gender equality depends on a range of other factors including: the political will of central and state governments (for example whether they are progressive or conservative); the ethnic and cultural diversity of the population (for example whether ethnic minorities are regional or dispersed); the size of population; the presence or absence of conflict; the level of economic wealth; and the strength of traditional practices and cultural norms which discriminate against women (Haussman, Sawer & Vickers 2010: 39). While there is no way of knowing whether a failed policy in a unitary state might have worked more effectively in a federal state, there are compelling arguments in the literature supporting the capacity of federal models to advance gender equality if the surrounding political, economic, cultural and social conditions are conducive and if appropriate gender equality mechanisms are installed. Gender scholars argue that a federal model of governance provides opportunities for the advancement of gender equality. Federal models however vary greatly. Some confer a large amount of power in the national government to regulate the country; others grant more autonomy to subnational bodies. Some federations impose clear divisions in the powers of the national government and the subnational bodies, while others have overlapping or shared powers. While the different federal models may create different opportunities, in general these opportunities include the following. First, a federal model of governance increases opportunities for women’s democratic participation simply because there are more public office positions available (Obiora and Toomey 2010: 211). In all models of governance (unitary and federal) it is important women and minorities are represented in the legislature, the executive and the judiciary. Women’s representation and participation in governance strengthens democracy, reflects population composition and ensures the voices of women are heard. Women are also more willing to support the interests of other sectoral groups, to promote public goods such as water, schools, health and sanitation and to hold leaders to account and to support policies that assist children and the elderly (Deininger, Jin, Nagarajan & Xia 2015). Second, as well as creating more opportunities for women to enter public office, multiple parliaments create multiple access points for women to lobby for reform measures. If the national government is conservative and resistant to gender equality measures, women advocates can lobby the subnational governments instead. For example, in Australia women’s advocates in working to a national policy on child-care alternated between lobbying the national government and subnational governments (Brennan 2010). Third, a federal model of governance encourages policy transfer within a country. It does this by creating competition between the subnational units and enabling the success of one subnational unit to provide a positive example for another. For example, in India an innovative Short Message Service (SMS) system tracked approximately 1,200 newborn children in the state of Madhya Pradesh reducing infant mortality. This successful programme was then adopted in other states around India (Solanki 2010). Fourth, a federal model of governance is better able to respond to ethnic diversity and conflict by providing opportunities for autonomy, self-rule and self-determination (Adeney 2016). This indirectly benefits women who are disproportionately affected by conflict. Finally, a federal model of governance enables local concerns including the different interests of women to be better represented. It does this by creating subnational bodies with real power that are geographically closely situated to local communities and better informed about local needs. It may also enable the delivery of public goods and services locally, close to the communities they serve. Gender scholars also argue that a federal model of governance limits opportunities for the advancement of gender equality. First, if subnational bodies are individually responsible for the implementation of universal (human rights) norms it may be more challenging to achieve uniformity. Instead, some gender scholars argue a strong central government is essential for the uniformity of laws, programs and services. For example, family law that provides for equal rights in the family is important for the advancement of gender equality. Family law has historically granted men enormous power in the family and discrimination against women and girls in family law systems places them in a subordinate position to men within the family. This imbalance is replicated in economic affairs and in all areas of decision-making in the public sphere. In New Zealand – a unitary state – the power to enact family law resides with the national government and there is national family law legislation which is largely compliant with CEDAW and good practice in family law. In India – by contrast, a federation – family law is determined by the different religious groups and contains many laws and practices that discriminate against women. For example, spousal maintenance is not uniformly available, inheritance laws favour males, and divorce is fault-based and in some communities not available for women. Second, many gender scholars have argued against a federal model of governance as an effective model for advancing gender equality on the basis that it limits central government power and fragments its ability to implement redistributive social policies that benefit women and girls (Gray 2006). For example, if each subnational unit is individually responsible for the delivery of public services then services for women may differ according to the wealth and priorities of each subnational unit. If service delivery (such as medical centres, safe shelters, counselling) is responsibility of region/states then budget, political will, and the strength of women’s advocacy may determine whether services are offered, and the adequacy of services offered. It also fragments and isolates women’s organisations and movements making organising collaboratively difficult (Correa 2014). Third, a federal model of governance can be less responsive to gender equality reforms because the local focus is on territorial interests and identities. Global examples indicate federations often tolerate continuation of regional discriminatory practices particularly in areas such as inheritance or family law (Obiora & Tomey 2010). Finally, a federal model of governance is costly and complicated with multiple institutions (multiple governments, multiple administration systems, multiple judicial systems). It can be difficult for citizens to understand and navigate and, for a smaller, poorer country in particular, this may mean there is less money for gender equality reforms. In every model of governance gender equality measures are challenging to implement despite the documented benefits economically, socially and politically of achieving gender equality. A federal model of governance creates opportunities for the advancement of gender equality, but it also creates challenges. Ultimately the political, economic, social, ethnic, cultural, geographical context of a country determines which features of different federal models are likely to be beneficial for advancing gender equality. Brennan D, “Federalism, Childcare and Multilevel Governance in Australia” in (eds) Melissa Haussman, Marian Sawer and Jill Vickers Federalism, Feminism and Multi-Level Governance (Ashgate: 2010). Chandler A, “Women, Gender and Federalism in Russia. A Deafening Silence” (eds) Melissa Haussman, Marian Sawer and Jill Vickers Federalism, Feminism and Multi-Level Governance (Ashgate: 2010) 141. Chappell L “Nested Newness and Institutional Innovation: Expanding Justice in the International Criminal Court” (2011) in Mona Krook and Fiona Mackay (eds) Gender, Politics and Institutions: Towards a Feminist Institutionalism (Palgrave: 2011) 163. Deininger K, S Jin, H Nagarajan & F Xia (2015) “Does Female Reservation Affect Long-Term Political Outcomes? Evidence from Rural India” (2015) 51(1) Journal of Development Studies 32. Franceshet S and Jennifer Piscopo, “Federalism, Decentralisation and Reproductive Rights in Argentina and Chile” (2012) Journal of Federalism 1. Gray G, “Women, Federalism and Women Friendly Policies’ (2006) 65(1) Australian Journal of Public Administration 25. Gray G, “Federalism, Feminism and Multilevel Governance: The Elusive Search for Theory” in (eds) Melissa Haussman, Marian Sawer and Jill Vickers Federalism, Feminism and Multi-Level Governance (Ashgate: 2010) 39. Hedstom J, “We did not Realize About the Gender Issues. So We Thought it was a Good Idea” (2015) 18(1) International Federal Journal of Politics 61. Lang S and Birgit Sauer, “Does Federalism Impact Gender Architectures? The Case of Women’s Policy Agencies in Germany and Austria” (2012) 43(1) Journal of Federalism 68. Mahan R and Cheryl Collier, “Navigating the Shoals of Canadian Federalism” in (eds) Melissa Haussman, Marian Sawer and Jill Vickers Federalism, Feminism and Multi-Level Governance (Ashgate: 2010). Menon N, “A Uniform Civil Code in India: The State of the Debate in 2014.” Feminist Studies 40.2 (2014) 480-486. Niedermeier A and Wolfram Ridder, Decentralization, Federalism and Democracy. Politics, Governance, and Public Administration in National and Subnational Settings. Experiences from Germany, Asia and Beyond (Hanns Seidel Foundation, 2nd ed, 2016). Obiora L and Sarah Toomey, “Federalism and Gender Politics in Nigeria” in (eds) Melissa Haussman, Marian Sawer and Jill Vickers (Ashgate: 2010) 211. Solanki G, “A Fine Balance? Multilevel Governance and Women’s Organising in India” in (eds) Melissa Haussman, Marian Sawer and Jill Vickers Federalism, Feminism and Multi-Level Governance (Ashgate: 2010).